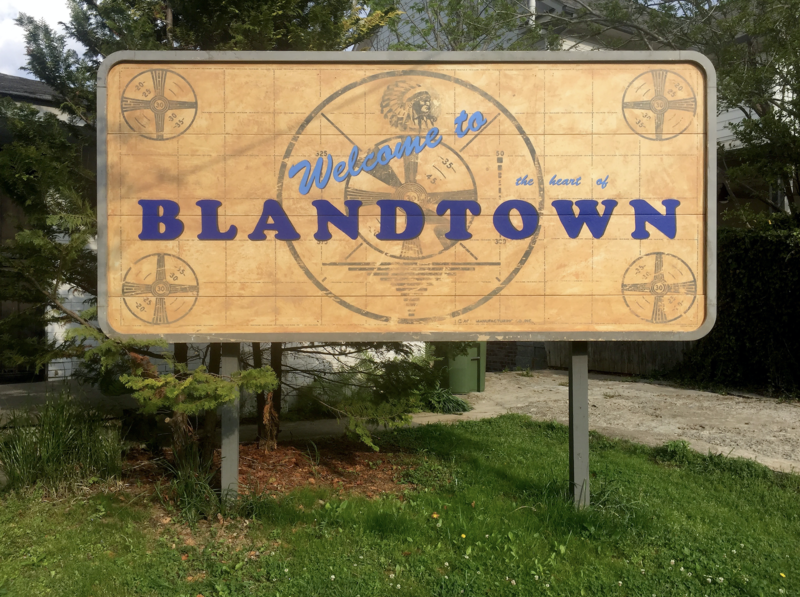 The façade of a large metal sign emblazoned with the phrase “Welcome to Heart of Blandtown” features a background image of an Indian-head test pattern, which was used from the late 1940’s to late 1970’s as a black and white television test pattern. 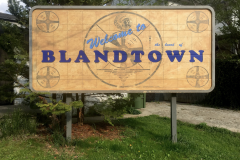 Transmitted after television stations signed off for the night, the pattern indicated no programming was being broadcast. 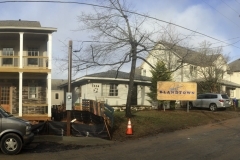 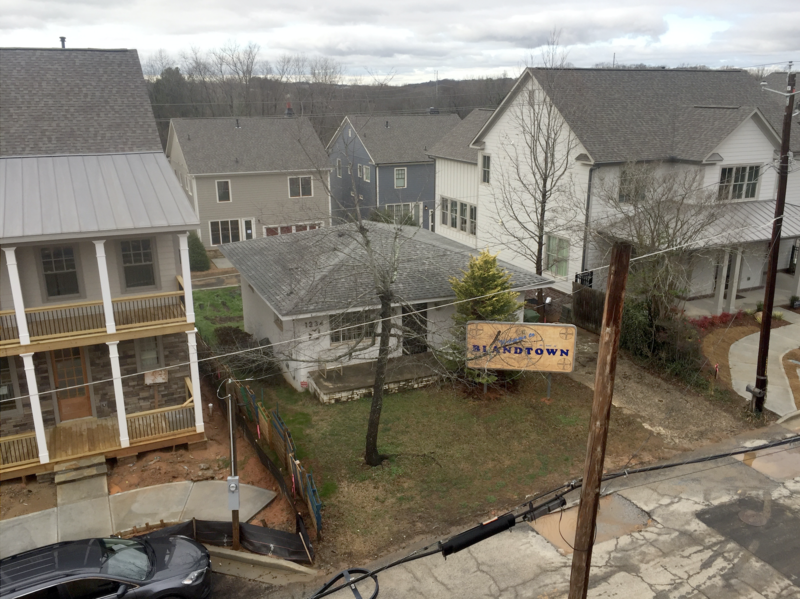 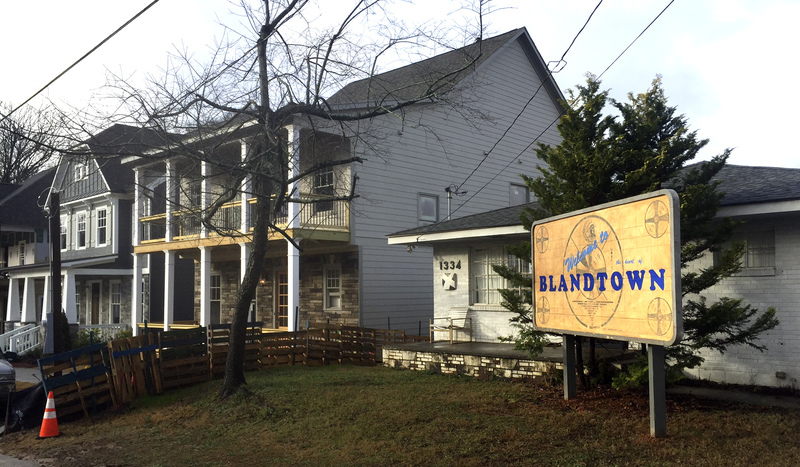 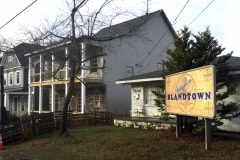 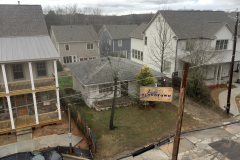 As this area of Blandtown adjusts its frequency and comes back on-the-air after most of the land was cleared, the objective of this artwork is to engage residents in a dialogue by reminding and/or informing them of the neighborhood’s name and history.